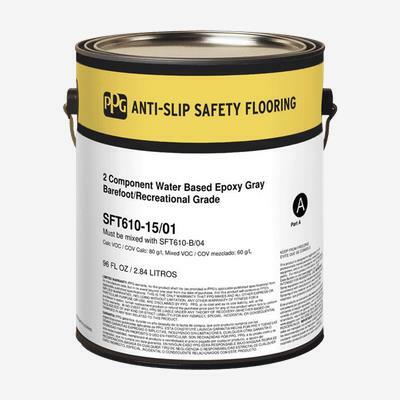 Anti-Slip Safety Flooring System, Two-Component is a two component low profile non-slip floor and deck coating formulated with a fine texture finish that is durable,easy to clean and chemically resistant. It is suitable for recreational, marine, and industrial environments. Its low profile is easy to apply and adheres to concrete, metal, and wood surfaces. It is fire retardant when dry and has excellent chemical resistance to oil, gasoline, acids, caustics, hydraulic fluids, and most solvents.